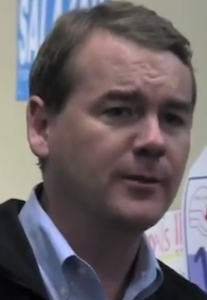 Colorado Peak Politics | BENNET’S CRYBABIES: Who are the Real Political Bullies? BENNET’S CRYBABIES: Who are the Real Political Bullies? U.S. Sen. Michael Bennet is using hateful rhetoric to demand that everyone stop mean to each other. And by everyone, he means Trump, and by mean, he’s referring to those the president-elect is hiring to work in the White House and cabinet. Bennet didn’t mention it during the campaign, but now says his office was getting phone calls throughout by Coloradans who fear for their safety because Trump threatened to enforce U.S. laws. We’ve no idea if one of the callers was Hillary herself, who Trump suggested he would jail if she broke the law by hiding government documents and exposing national secrets by using a private email server in Colorado. Bennet says students are bullied and being called names like racist, misogynist, anti Semites and divisive. No, wait, that’s what Bennet called one of Trump’s White House hires. Our country is such a special place because of our diversity and tolerance toward one another. Especially now, we must all stand up to hateful rhetoric and ensure that everyone feels safe and welcome in their communities. Our country is a special place because of the freedoms guaranteed in our Constitution. We have the right to pursue happiness. It doesn’t say the federal government has an obligation to make us happy. If crimes are being committed, it should be reported to the proper police authority for investigation and prosecution, those are the protections we have. We are not a national playpen for crybabies wearing diaper pins who require coddling at every slight, and Bennet should stop treating us as such.